Offering you a complete choice of products which include high electrical safety kit, low electrical safety kit, medium electrical safety kit, welding safety kit, ammonia safety kit and portable medical kit. in electricity supply and industrial substations. 1.High Electrical Rescue Kit contains products required for safety from electrical shocks and injuries. 2. 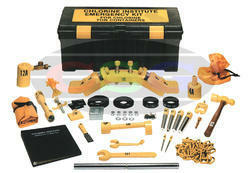 This High Electrical Rescue Kit is from Class C type of Voltage. 3.The kit is customizable. 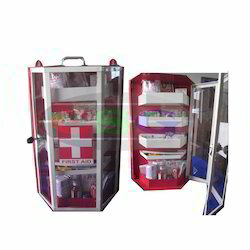 It can contain various products as per client’s requirement like electrical gloves, electrical rubber mats, electrical shock treatment charts, electrical safety shoes, discharge rods, rescue sticks, safety signages, first aid box, safety torch, fire blanket, etc. 4.This High electrical safety kit should be kept in proximity to electrical panel areas / switchboards. 6.Application Industries: Power Plants, Metallurgical Industry, Energy Plants etc. 7. We also export these kits. 1. Electrical Rescue Kit contains products required for safety from electrical shocks and injuries. 2. This Low Electrical Rescue Kit is from Class A type of Voltage. 4.This electrical kit should be kept in proximity to electrical panel areas / switchboards. Medium Electrical Safety Kit is used for safe rescue of victims from electric shock or other injuries when working on Medium switch boards or panels in electricity supply and industrial substations. 1. Medium Electrical Safety Kit contains products required for safety from electrical shocks and injuries. 2. This is Medium Voltage Kit from Class B types of Voltage. 3. The kit is customizable. It can contain various products as per client’s requirement like electrical gloves, electrical rubber mats, electrical shock treatment charts, electrical safety shoes, discharge rods, rescue sticks, safety signages, first aid box, safety torch, fire blanket, etc. 4. These electrical kits should be kept in proximity to electrical panel areas / switchboards. 5. Medium Electrical Rescue Kits are available for different voltage levels like 11 kV . 6. Application Industries: Power Plants, Metallurgical Industry, Energy Plants etc. 7. We also export these kits.Kit is used for safe rescue of victims from electric shock or other injuries when working on Low/Medium/High Voltage switch boards or panels in electricity supply and industrial substations. We are a long-time established manufacturer, distributer, importer and exporter. We offer extensive and comprehensive range of Welding Safety Kits. Burns are the most common injury to welders due to sparks landing on the skin. Arc Welding can be intense and cause burns to skin and damage eyesight within a few minutes of exposure. 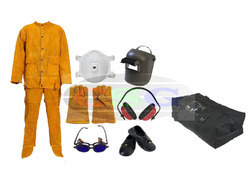 The kit includes welding face shield, welding nose mask, welding leather gloves, ear muffs, flip-up welding safety goggles, welding leather coverall, safety shoes etc. NOTE: We can customize the kit as per customer requirement. Welding Leather Gloves -To protect against cuts and burn. Ear Muffs - Ear protection muff consist of sound-attenuating material soft ear cushions that fit around the ear hard outer cups and are held together by a head band. Safety Shoes - Used in antistatic, oil resistant area & pu sole. Ammonia Cylinder Emergency Kit is designed to prevent leaks from valve and side wall of ammonia cylinders .This product is properly tested on different parameters to ensure that they can be appropriately used in different industrial applications. This Ammonia Safety Kit is widely used in various applications like Pharmaceuticals, Beverages, Cold Storage, Power Plant, Milk Chilling Centers, Latex, Steel Plant, Ammonia Printing, etc. We are known for creating a wide range of innovative and sustainable products for the industrial markets among which Portable First Aid Bag stands on its design, strength and reliability. • We deal with Portable Medical Kit is made up of good quality Plastic. • It is lightweight and can be used while traveling. • This Portable Medical Kit consist of 27 Items. • The size of Portable Medical Kit is 8*4*5.6. These Industrial First Aid Bag are finely finished and are known for their ability to provide optimal protection. • We provide free replacement for sealed pack expired products. Emergency First Aid Bag is recommended for labours, workers and inspection officers to use while performing their duties at the site. Now Companies have also started adopting increased safety measures since it has become mandatory to follow safety protocols. Audits for First Aid Medical Kit take place to check their conformance to safety and quality standards set by government and testing bodies. The box is specially coated with M.S powder can be hanged of the walls. The Kit comes with 36 basic items for treatment. To keep up with growing demand of Emergency Medical Kit, we keep adequate stocks at any given time. 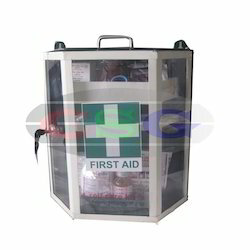 We are one of the prominent names in the industry, offering Industrial First Aid Kit. • The First Aid Kit comes with 27 basic items for treatment. • The Size of Medicine Kit is 12*4*12. • This Medicine Kit is used in many Industries, Schools, Offices and other areas. We offer broad selection of Portable First Aid Kit for construction, chemical, food service, metal, cement , marine and other industries. We study the market demand for Industrial First Aid Box regularly and keep optimum stock levels. • We provide high quality Emergency First Aid Kit for basic treatments. • The box is specially coated with M.S powder for greater durability. 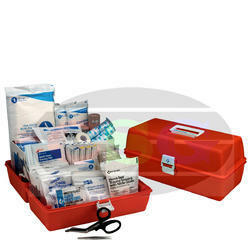 • The Emergency first aid kit comes with 27 basic items for treatment. 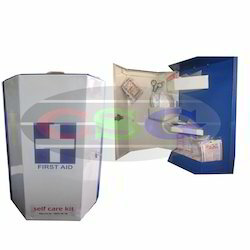 • The Emergency First Aid kit can be used in any industries, Schools, Offices and other areas. • Refill items available any time on demand. We are long-time established manufacturer, distributor, importer and exporter of Oil Spill Kits. Our Spill Kit are being exported to global regions like of Middle East, Africa, South Asia, Latin America, Europe, Bangladesh, Bhutan, Nepal, Sri Lanka and many more. Spill Kit is designed for quick response and user convenience in Industry to attend Oil Spill and Maintenance Mess clean up anywhere in the plant. CEP Oil Sorbents are very effective for Clean-up of: Oil on Land & Water, Petroleum based Solvents & Paints, Vegetable Oils and other Non-Water Soluble Chemicals. 100 nos. CEP USA – Hydrophobic Sorbent Pads, Size 17" X 19"
10 nos. CEP USA - Hydrophobic Sorbent Pillows, Size 10" X 10" X 2 cm. 02 pr. Nitrile Gloves. CE/ EN Certified. 02 set Dupont Tyvek Coverall with elasticated Hood. 02 nos. Chemical Splash Goggles CE/EN Certified. 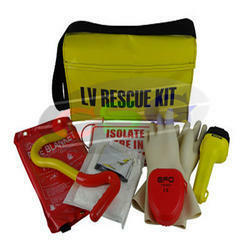 We are the prominent manufacturer, supplier, trader, distributor and exporter of First Responder Kit. • We provide First Responder Kit is a M.S Powder coated which can be mounted on walls. • The First Responder Kit consist of 27 important items which are to be used for basic treatments of injuries and other medical needs. • The size of First Responder Kit is 12*4*12. • The Kit are designed as per international standards.This First Aid Responder Kit allows the workers to handle hazardous tasks at workplace with adequate safety. We are long-time established manufacturer, distributor, importer and exporter of Chlorine Gas Kit. Our Emergency Chlorine Kit are being exported to global regions like of Middle East, Africa, South Asia, Latin America, Europe, Bangladesh, Bhutan, Nepal, Sri Lanka and many more. 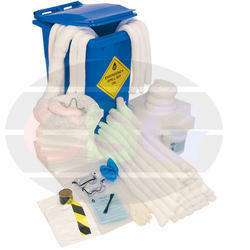 Our Chlorine Leakage Kit follows industrial norms. Instruction Sheet - 1 No. Chlorine Leakage Detection Kit provides adequate protection to a person working in adverse working conditions. This All Purpose First Aid Box helps in protecting workers from life-threatening hazards at workplace. • We offer All-purpose First Aid Kit and is very useful at the time of medical emergencies in industries or any other locations. • The Kit comes with 63 different items into it. • The size of All Purpose first aid Kit is 11*4*13. • We provide free replacement for sealed pack expired products. Our All Purpose Kit being light weight but sturdy offers comfort along with protection. Our quality management team, inspects and tests Portable First Aid Kit before it is dispatched to customers. 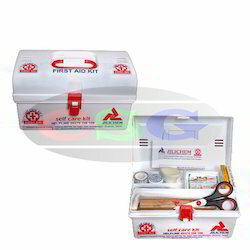 We offer extensive and comprehensive range of First Aid Response Kit. 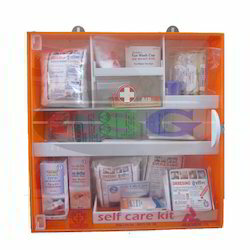 • This Emergency Medical Kit is especially M.S Powder coated and it is wall mountable. 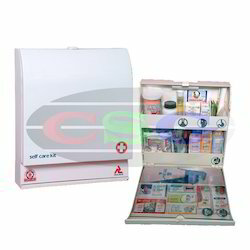 • The size of M.S Powder coated Medical Kits Box is 12*4*15. • The First Aid Box comes with 27 important materials which are to be used for first level treatments of injuries and other emergency situations. • The Medical First Aid box is available in many different sizes.The product Safety Kit is designed keeping in mind all innovative approaches to workforce safety and demands, made by industries worldwide. 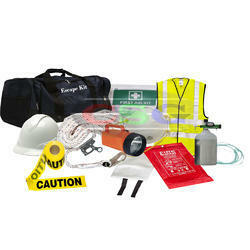 Emergency Response Kit is used in work areas which are prone to higher risk of accidents. In addition, we offer varied range of Healthcare Kit which are being widely used in industries like Metallurgical, Steel, Aluminium, Power, Energy, Petrochemical, Oil & Gas, Glass, Chemical, Cement Offshore & Onshore Industry, Furnace Areas, Fire Departments, etc. Design Sturdy bag to keep in easy to access areas. We are one of the leading established manufacturer, distributer, importer and exporter. Emergency Evacuation/Survival Kit is used for emergency evacuation at the time of disaster or mayhem in residential buildings, offices, hotels, airports, hospitals, schools etc. It includes products required for short-term survival to escape from accident prone areas. It consists of safety torch, fire blanket, first aid box, fire smoke mask, emergency oxygen kit, lifeline, helmet, reflective jacket, barricading tape etc. 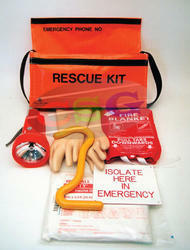 This kit will be provided in a sturdy bag to keep in easy to access areas. Fire Blanket-Used to prevent from fire, burns and weather. First-Aid Box - Contains basic items to prevent from wound and cuts. Safety torch- To use for visibility in low light areas. It is waterproof. Barricading Tape-Used for warning in danger areas which prevents people from entering any accident-prone area. Reflective Jacket -Enhancing visibility of moving people in emergency situations. Barricading tape - used to warn or catch the attention of passers-by of an area or situation containing a possible hazard. Lifeline - Used to restrain people in the event of a fall hazard. 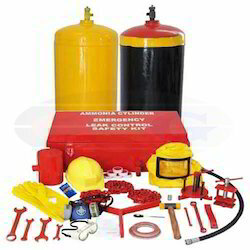 We are the prominent manufacturer, supplier, trader, distributor and exporter of Safety Kits. 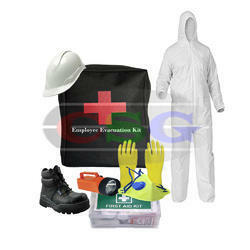 We provide Employee Safety Kit for Emergencies that can happen at offices and warehouse especially. It is necessary for personnel working at warehouses and certain office areas to all the time keep an employee safety evacuation kit in vicinity. 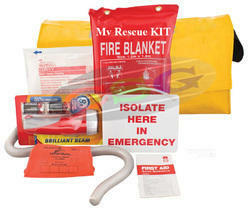 We provide necessary products in the kit which are critical for their safety and survival in an emergency. Safety kit consists of safety helmets, safety shoes, nose mask with filter, dust coverall, safety gloves, mini first aid box, safety torch etc. Safety Shoes-Used in antistatic , oil resistant area & pu sole. Safety Gloves- Our gloves are soft and flexible for comfort, yet both abrasion and cut resistant for long wear. First-Aid Box-Contains basic items to prevent from wound and cuts . Nose Mask-Prevents from dust, pollution and chemical. Safety torch- For higher visibility in low light area. Looking for Safety Kit ?